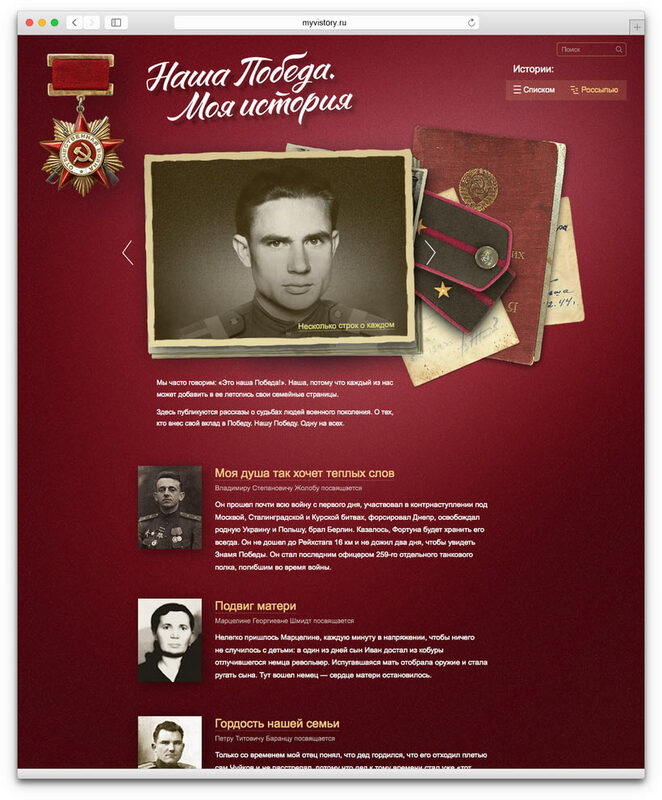 Task: to create a website with memoirs of war veterans. 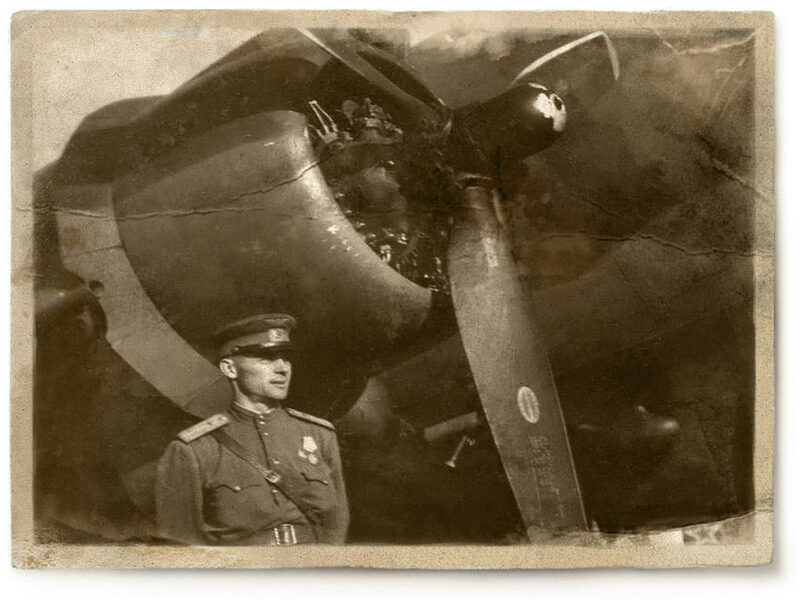 On the eve of the seventieth anniversary of the Victory Day, Gazprom employees tell about their close and distant relatives who took part in the Great Patriotic War. 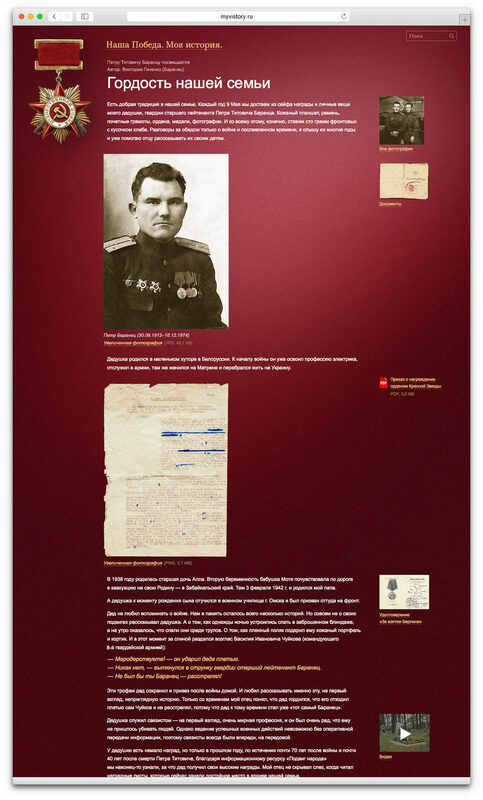 The stories are published on a website and illustrated with historic materials from the collections of combat veterans. Several lines from each story are featured on the main page, they include the most vivid facts and invite to continue reading the stories in their entirety. Readers can choose between two ways of viewing stories and illustrations on the website. By default, they are arranged in a list which is concise and contains few period details. The alternative view features rare photographs, images of triangle letters and words of kindness on the margins. The stories are illustrated with quotations from front-line messages, scanned copies of documents and links to audio and video files.